The best country hotel Cotswolds offers its millions of visitors who flock to its spectacular countryside also represents the best in country hospitality, English style. The English people are well-known for their impeccable social manners that, when coupled with natural friendliness nurtured by the easygoing lifestyle of the countryside, arguably make for the best hosts in all of the United Kingdom. Located in the Little Venice of the Cotswolds – Bourton-on-the-Water, of course – the Chester House Hotel consists of 22 bedrooms furnished in the contemporary country style. Each room has central heating, direct dial telephone coupled with wireless Internet access, colour television, and tea/coffee making appliances. Guests can bring their pets as well as request for reasonable room services like delivery of champagne, roses and chocolates. Since it is located in town, guests can easily explore the area’s attractions. Rates start from £90.00 for a double room. Arguably the best country hotel Cotswolds has to offer in Cirencester, the Corinium Hotel and Restaurant offers 15 bedrooms with distinctive styles and equipped with ensuite bathrooms. Guests can enjoy the excellent dishes at the restaurant with traditional English roast served on Sundays while the cosy bar offers a wide variety of drinks for after-hours small gatherings. With its walled gardens, guests can enjoy the beauty of nature while enjoying a drink. The charming villages of Stow-on-the-Wold and Burford as well as their surrounding countryside are just a few minutes’ drive away. The Stow Lodge Hotel, which is located in Stow-on-Wold, is a family-owned hotel that offers one of the warmest welcomes in the area. The local staff makes every guest feel welcome in a manner reserved for old family and friends, thus, the hotel’s popularity. Each room in this 3-star country hotel is furnished with comfortable beds, direct dial telephone, colour television, beverage-making facilities, and modern radio, among others. Room rate starts at £75.00 during non-peak season. 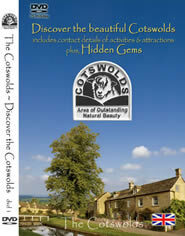 Many a country hotel Cotswolds offers its guests and visitors boast of a common thing – you will enjoy your stay and that’s a promise delivered lock, stock and barrel, so to speak. These hotels are, after all, located in the magnificent Cotswolds England – home to the best in the English country hospitality industry. The Swan Hotel, Bibury is set on the banks of the River Coln in the Cotswold village of Bibury. The village of Arlington is just a walk across the stone bridge. The Gallery restuarant serves delicious meals from fresh local produce and fine wines are also offered. Some rooms overlook the River Coln and a number of rooms feature large spa baths. The Swan Hotel is well known for being a very romantic and peaceful sanctuary - a beautiful Hotel to retreat to after an exhilarating day exploring the Cotswolds.